KLB Extends Beautiful Home Awards Deadline, Announces New Prizes! 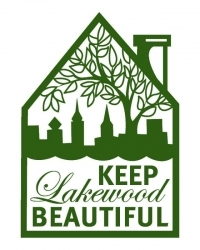 Keep Lakewood Beautiful (KLB), Lakewood's volunteer board that initiates, plans and coordinates programs for litter prevention, solid waste reduction, recycling and green space beautification, has extended its deadline for nominations for the Beautiful Home Awards to September 1, 2012. First Federal of Lakewood has agreed to sponsor the awards breakfast again this year and KLB is in talks with a few Lakewood businesses to donate more prizes. We feel that the Beautiful Home Awards already provide a nice incentive for home owners and residents to nominate beautiful homes, but the new prizes will surely take the competition up a notch! Seven property awards will be selected from all nominations, one to represent each of the seven elementary school districts. The property can be your own, a neighbor's or a property you have always admired, providing that the home has not won this prestigious award in the past. Judging is based on landscaping, house maintenance and overall beauty of the property. No special form is needed! Simply send us the home’s address, owner's name and phone number (if known), your name, address, phone number and e-mail address. You can submit several nominations! E-mail your nomination(s) to Luann.Baker@lakewoodoh.net or "snail-mail" your nomination(s) to: Keep Lakewood Beautiful, 12650 Detroit Ave, Lakewood, OH 44107. This event is sponsored by First Federal of Lakewood, the City of Lakewood & Keep Lakewood Beautiful. We will try to keep Lakewood Observer readers up-to-date with our events and achievements, but you can now also keep up by “liking“ our new facebook page. The facebook page is a great connection to the community because we can tell you about what we are doing, but you can also let us know where you think we need to pay more attention! Dan Morgan is a Board Member of Keep Lakewood Beautiful and a commercial photographer / marketing specialist. Dan is also a lifelong Lakewood resident.